Our investors share a commitment to creating and promoting vibrant communities. Whether you live here, work here, or do both, you have a vested interest in seeing the Jefferson and Dodge county region truly thrive. Attracting new businesses and helping existing businesses expand will lead to more jobs in our communities, a broadened tax base and services that enhance the quality of life of all our residents. 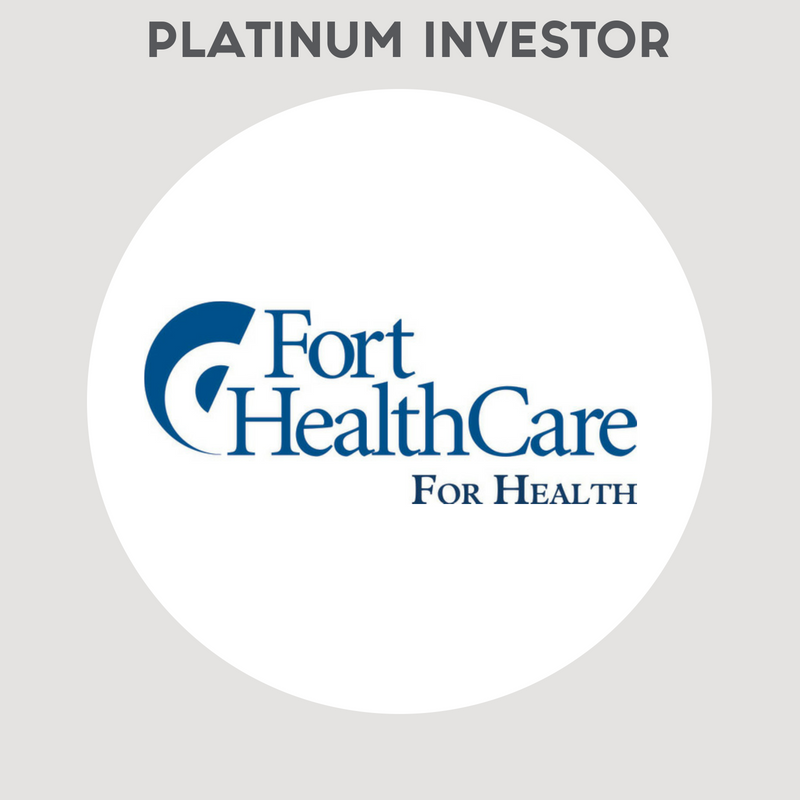 Your investment is an investment in the business health of our region. We are excited to be part of a movement that will help build a more vibrant economy and a better way of life in Jefferson and Dodge counties. We invite you to come along. 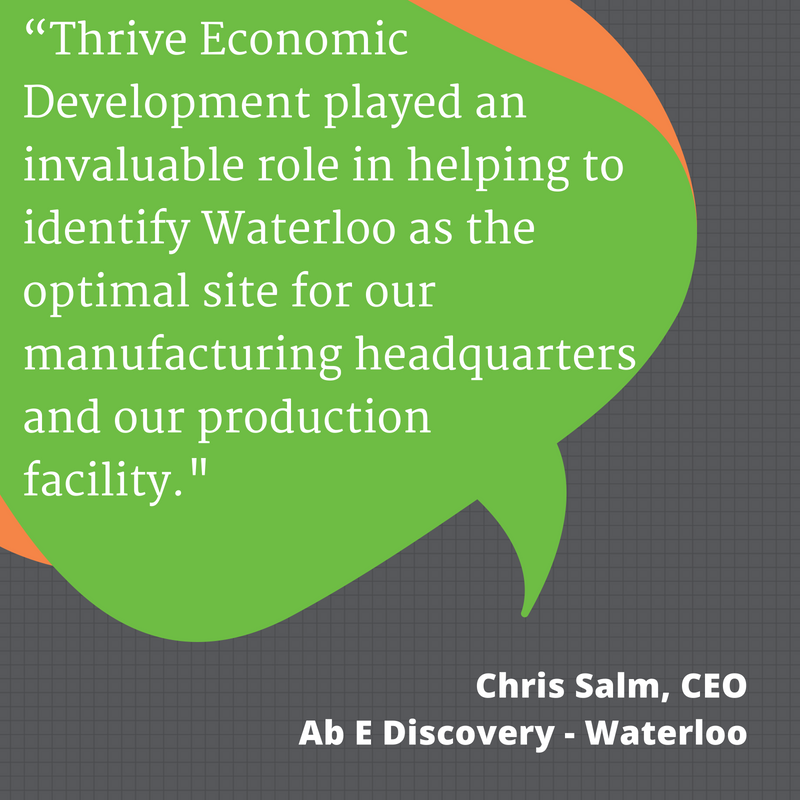 Why Invest in Economic Development? As a business leader, do you believe that your business benefits when your community is able to attract and retain quality businesses and workers? Do you believe that private sector involvement and investment can result in a more robust economy for everyone? Do you believe that economic development needs to be a local, coordinated and purposeful effort, led by professionals with economic development experience? If you said yes to any of these questions, we invite you to learn more about investing in Thrive Economic Development. 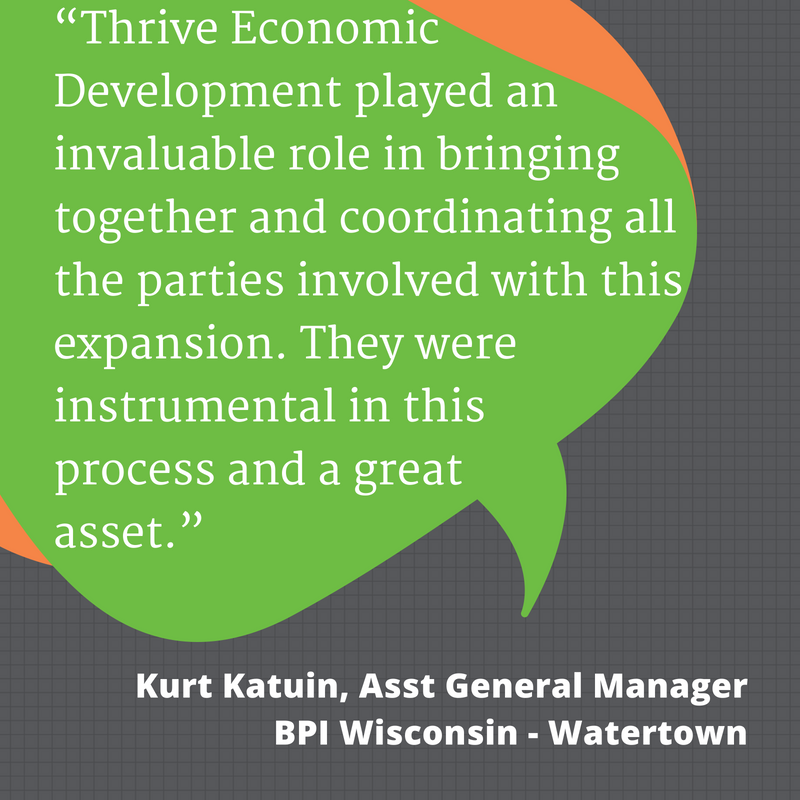 Thrive Economic Development is funded through investments made by private sector businesses, area municipalities, educational institutions and utilities. 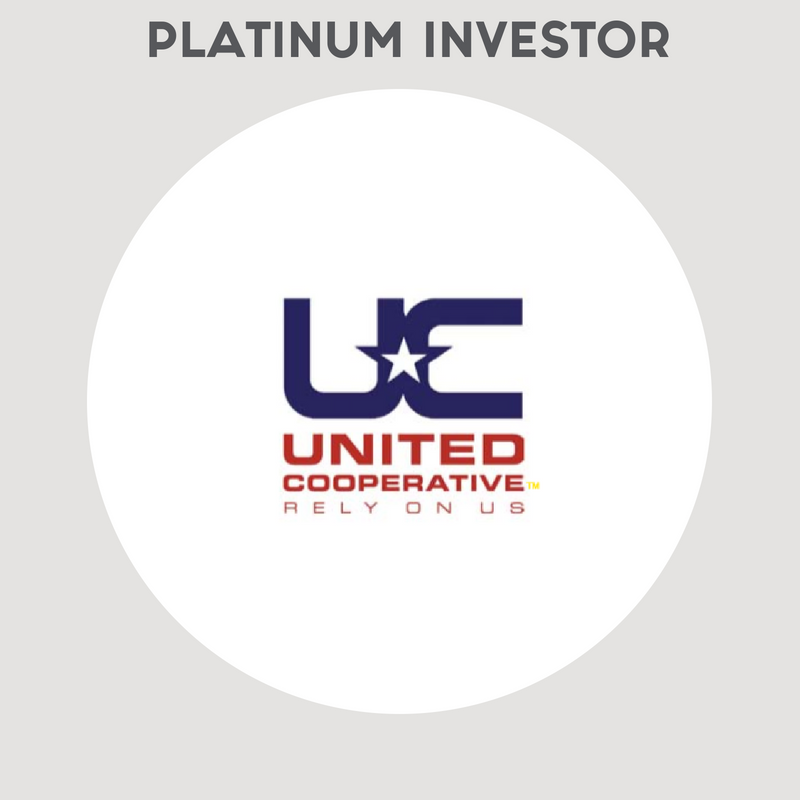 Our team works diligently to use the resources provided by our investors wisely as we deliver services to stimulate economic development. In addition to a stronger, more vibrant and sustainable economy and better quality of life in Jefferson and Dodge counties, investors receive direct benefits, outlined below. Leadership Opportunities: Investors at all levels are eligible to serve on ThriveED’s working committees, which currently includes: Marketing and Communications, Product Improvement, Investor Relation, Finance and Audit and Compliance and Projects/Prospect Management. Website: ThriveED investors are listed on the ThriveED website. Research and Data Services: Data drives smart decision making, and Thrive Economic Development investors can access a wide array of research, including proprietary data regarding the area laborshed, demographics, wage information, location quotients, commuting patterns, utility capacity information and more. Custom research assistance is also available. Weekly Update: ThriveED investors receive updates every Friday. 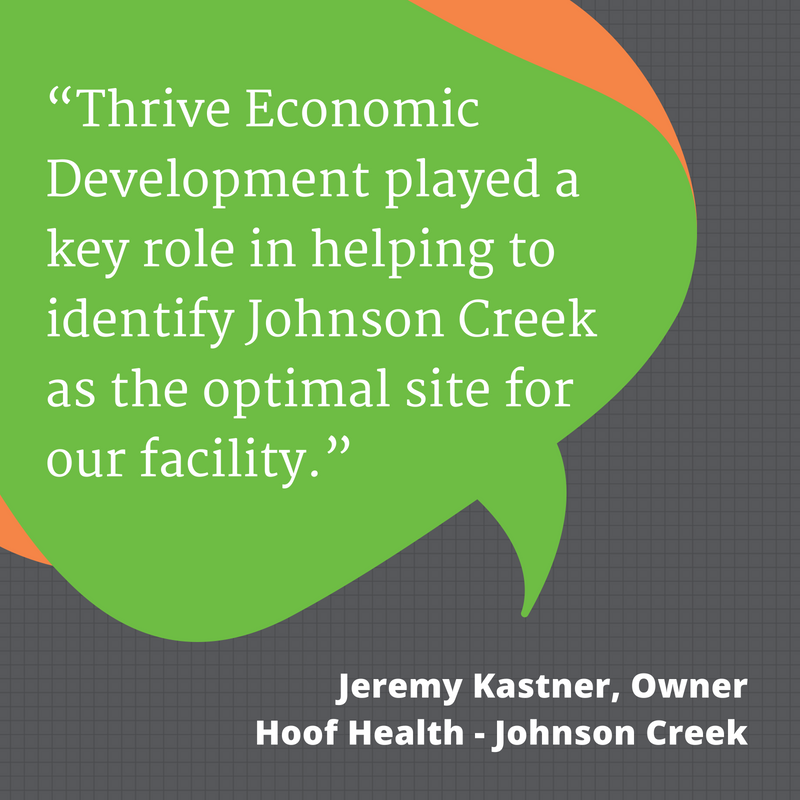 These brief updates feature articles and information about economic development projects and successes in Jefferson and Dodge counties, updates on ThriveEd activities and a data spotlight. 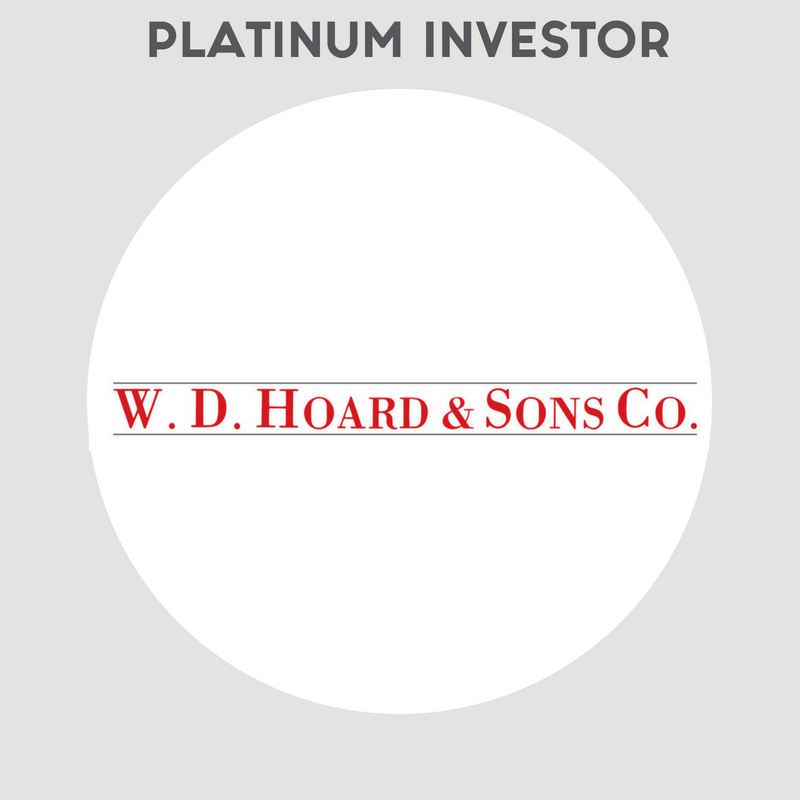 Special Event Invitations and Recognition: ThriveED investors are recognized at our special events throughout the year. In addition, investors receive invitation to ThriveED events and partner events, including the ThriveED annual meeting, groundbreaking ceremonies and new business success events. Eligibility to serve on the board of directors is available for investment levels of $25,000+ over 5 years). Board members play a key role in economic development in Jefferson and Dodge counties. Board meetings are currently held every other month and feature an exclusive update on local economic development projects.